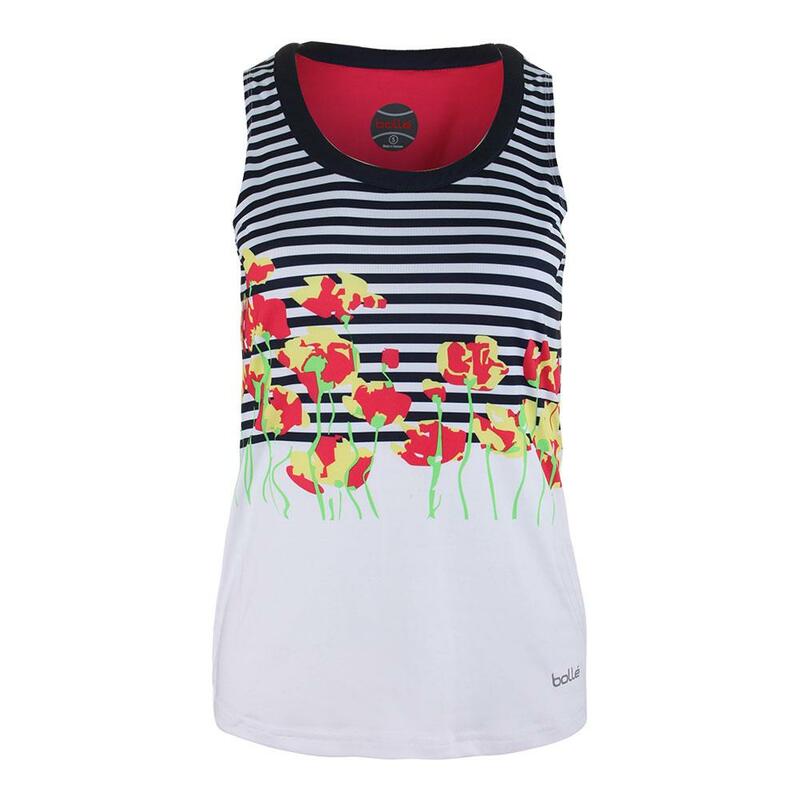 Grow with every match in the Bolle Tulip Fields Graphic Tennis Tank in White! 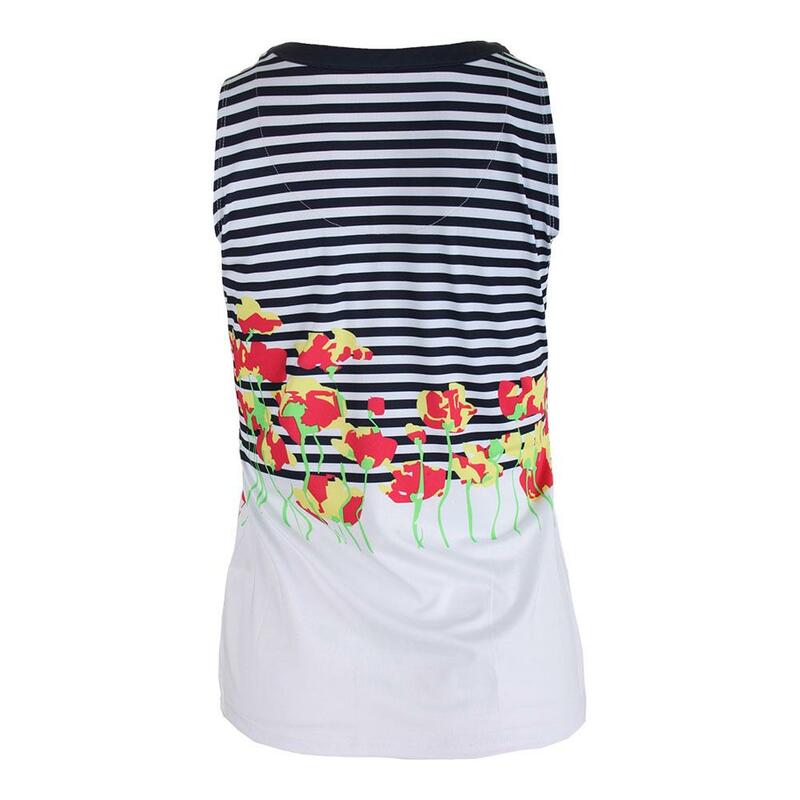 The bold floral and stripe print matches easily with skorts and NEW outerwear from the Tulip Fields Collection! A scoopneck front and full coverage back keeps you covered where it matters most, and the fabric keeps you comfortable and dry! 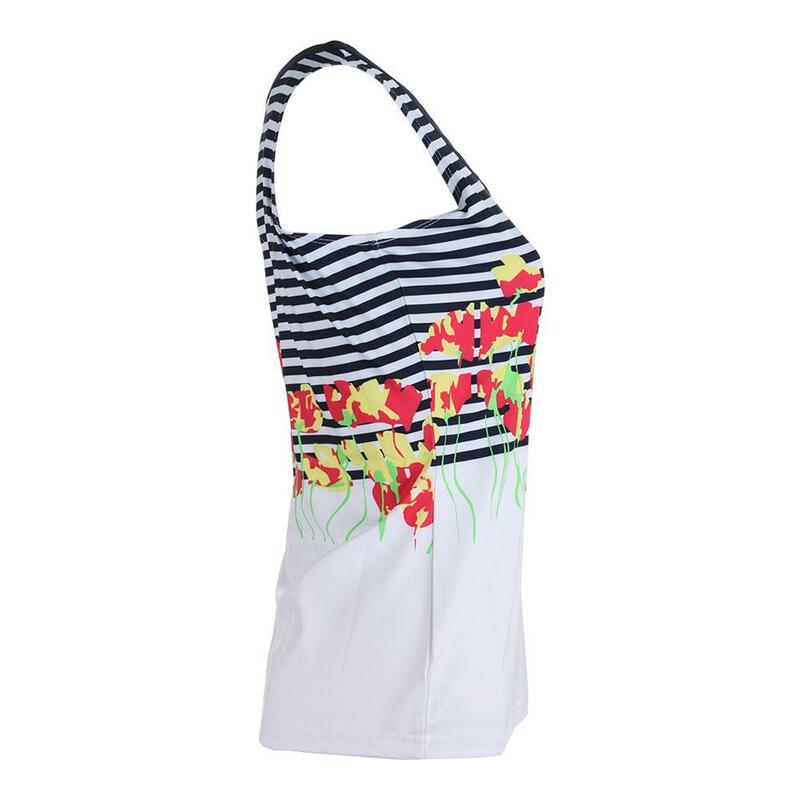 Bold and beautiful women's apparel like this makes perfect team wear for ladies leagues! For information regarding sizes, please refer to the Bolle Sizing chart.